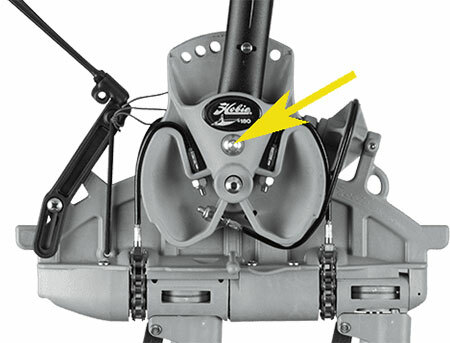 The screw that attaches the base of ARC cranks to the drums must be properly tensioned to hold the crank against the drum adjustment holes. Tension the screws to add a moderate amount of friction to the fore and aft movement of the ARC cranks. A loose screw could allow the crank to move away from the adjustment holes and possibly strip the outer plastic away between adjustment holes. The ARC crank drives use a 7/32” Allen Wrench.